Lexus has taken the wraps off its new RC-F coupe at the Detroit Motor Show. At the heart of the car is a 5.0 litre V8 engine that produces “in excess of 450bhp” according to Lexus. The RC-F's chief engineer Yukihiko Yaguchi has said that the engine is central to the car's appeal. The car will go head-to-head with BMW's M4 when it goes on sale later this year. In contrast, the M4 comes with a 425bhp twin-turbo straight six. 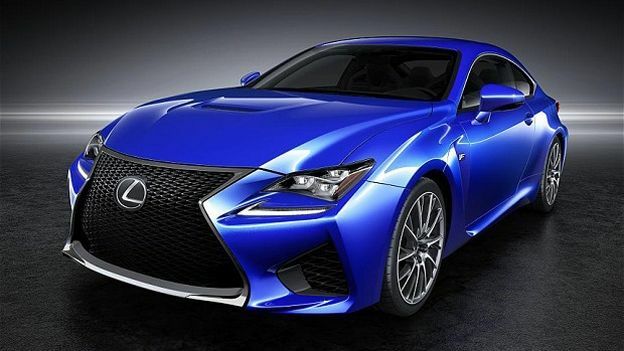 Lexus has said that the RC-F is the most powerful road-going V8 ever made. Check out the best cars of Detroit Auto Show 2014. The company has only confirmed its bhp. It has not yet revealed the RC-F's torque output, nor its economy. Lexus has stress that all that power won't come at the expense of efficiency though. The engine has been designed to run on an Atkinson cycle when at cruising speeds. When the driver accelerates, it will switch back to a more traditional Otto combustion cycle to maximise revs. According to Lexus, this will help to improve fuel economy. Despite the awareness of fuel efficiency, Lexus decided to avoid going down the hybrid route according to Yaguchi. “In our analysis the naturally aspirated V8 delivered the best high-performance machine,” Yaguchi told Autocar. “We didn't consider any other power unit. We wanted an engine that could be smooth in normal use, but deliver large power on track. There's no word on when the model will reach the UK, or how much of a dent in your wallet it will make. We'd expect a big one though.